You may not know Princess Fixxy yet but I promise she should be on your radar. She’s a dope rapper from Northern Nigeria who recently started to blow up. She has a rough flow with a feminine look akin to Nicki Minaj, or Lil’ Kim. 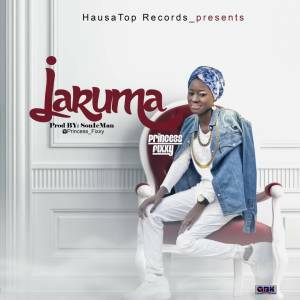 She release her first track title “ Jaruma ” off her new label Hausatop Records, which produced by sonikman. She’s the type of artist that makes Fast hip-hop rap because her sound is unlike anything hip-hop has seen before. People try to discredit artists like her but they shouldn’t, because she has a clear message and an aesthetic to back it up. The girl is sick. Great voice, great style, great flow. And she goes so hard download and enjoy!! !